A cute and fun Moon and Star Baby Shower Theme Party! 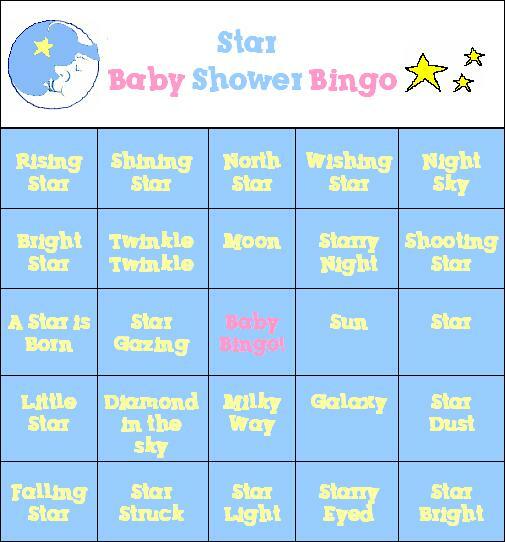 Moon and Star Baby Shower Bingo! 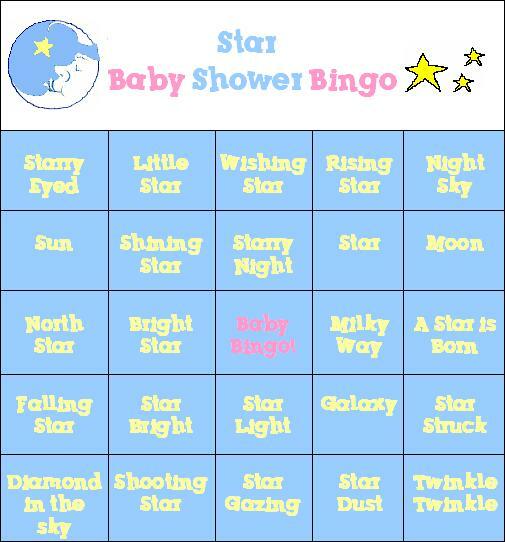 Here is the 4th set of free Moon and Star Baby Shower Bingo cards! 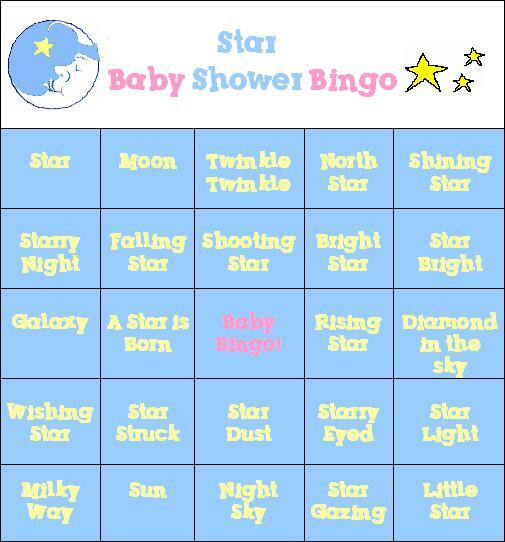 Baby Shower Bingo is the Grandmother of all Baby Shower Games and everyone loves to play it. 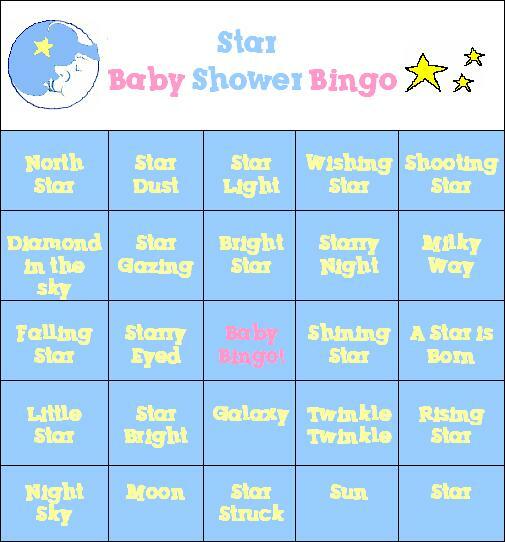 These are the free Moon and Star themed Baby Shower Bingo cards. You will need a different card for each guest (so you don't have two guests winning at the same time). There are 20 different cards that you can print off here. There are five different cards on each page (so the pages will load faster). So go to all four Bingo pages to get all 20 different cards. Just follow the printing directions below and print a different card for each guest. Another printing option: If you have Microsoft Word, after you "save picture as..." explained above, open a blank document in Microsoft Word and go to the tab INSERT and then select PICTURE and then select FROM FILE. From there you just choose the directory from your computer where you saved the picture and click INSERT. And Voila! You can print this fun moon and star baby shower game as many times as you like. 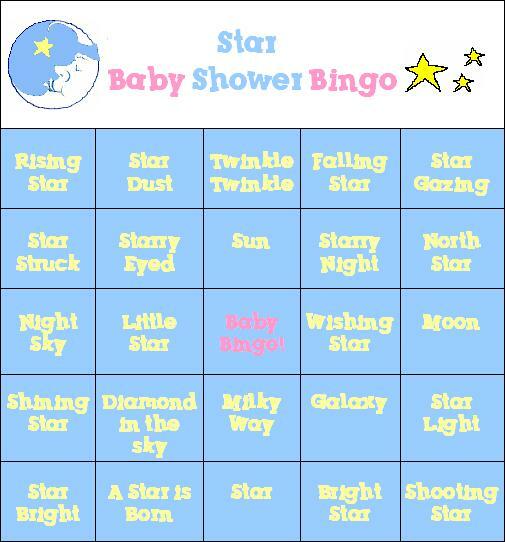 Moon and Star Baby Shower Bingo Game!